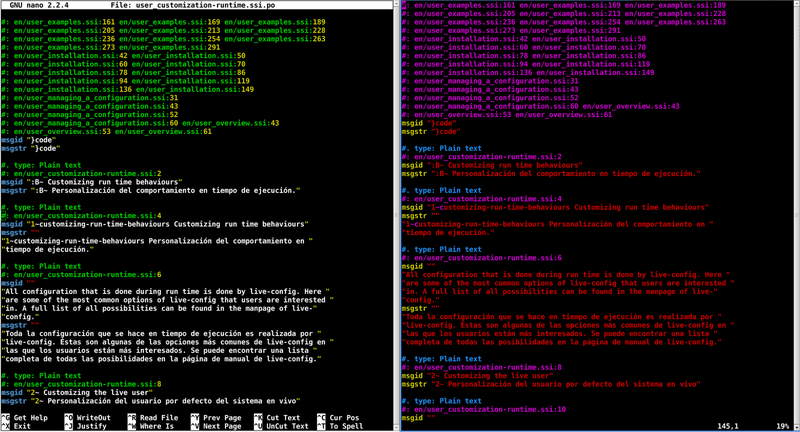 Syntax highlight is of course configurable so that you can use the colours you prefer or like the most. In both nano and vim you have to activate it, otherwise you do not have syntax highlight straight away like you have in other editors such as gedit. 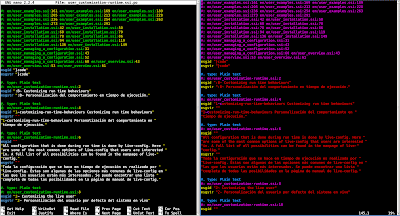 It is not my intention right now to explain how syntax highlight is activated in any of those text editors. I'm just publishing here a screenshot that shows why working with colours enabled is better. On the GUI I always use gedit. On the CLI I use both vim and nano but I think that nano is both easier to use and nicer. This is the syntax highlight I get for po files. I definitely prefer nano's colours. This will be the screenshot of the week.